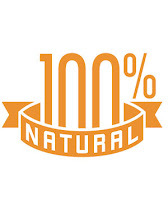 The Plant-Based Pharmacist's Blog: "Natural Foods" - Don't Be Fooled!!! What comes to mind when you see the word “natural”? Ice cream, key lime pie, chips? Probably not. But that is what I saw on packaging when I made a trip to the grocery store last week. “Natural” filled the shelves – tortilla chips, lemon-lime soda, crackers made with refined flour, pies, lemonade powder with a long list of ingredients including yellow dye #5, vegetable oil made with genetically modified soybeans, fruit juices with “natural” flavors added, potato chips – the list goes on. For some reason, I think of “natural” foods as being bananas, broccoli, apples, lettuce, potatoes, carrots and the like – foods that are unaltered and recognizable for what they are. Unlike many descriptions listed on food packaging, the term “natural” is not regulated by the FDA. Therefore, the term “natural” can be put on anything. A recent study concluded last year 28% of Americans bought more foods labeled “natural”. “Natural” sells. But don’t be fooled! Unless you recognize the food in its truly “natural” state, it has been reconstructed and has had unnatural chemicals and preservatives added. For optimal health, eat “natural” foods in the form nature intended them to be.